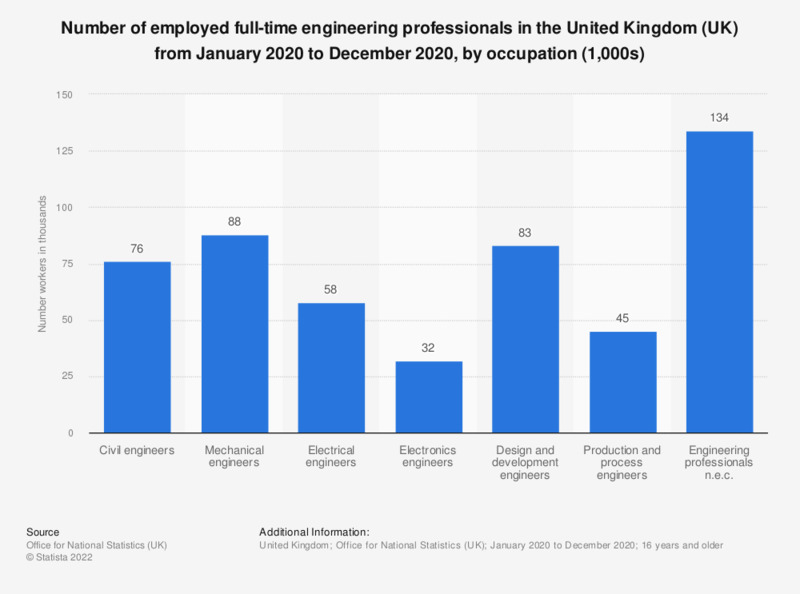 This statistic shows the number of employed full-time engineering professionals in the United Kingdom (UK) in 2018, by occupation. In this year there were approximately 59 thousand full-time civil engineers employed in the United Kingdom. This was more than those employed full-time as electrical engineers, which amounted to roughly 41 thousand. The engineering sector with the lowest level of full-time employment was the electronics, with approximately 30 thousand employees. Standard Occupational Classification (SOC 2010): 212, 2121, 2122, 2123, 2124, 2126, 2127, 2129.